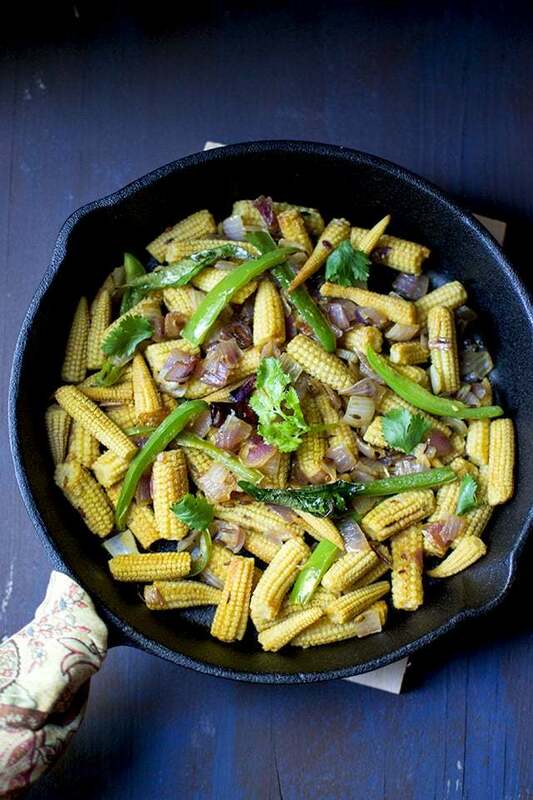 Simple and addictive Baby Corn Roast that takes just a few minutes to cook. It can be served as an appetizer or snack. Heat 2tbsp oil in a pan, add the boiled baby corn and fry till golden brown. Remove from the pan and set aside. In the same pan, add cumin seeds, dry red chilies, garlic, onion, green chili and curry leaves; saute till the onions are lightly browned around the edges. Add the fried baby corn, red chili powder, turmeric, ground cumin and salt. Stir fry for 3~4 minutes. Sprinkle with chopped Cilantro and serve hot! !